My garden is a hive of bird activity at the moment. The Starlings are loving the berries on the massive Willow-like Shinus that stands in the front garden and at any given time during the day there seem to be about thirty to forty of them there at a time, eating the red berries and swooping down to my pond for a drink from the bird baths and a swim. 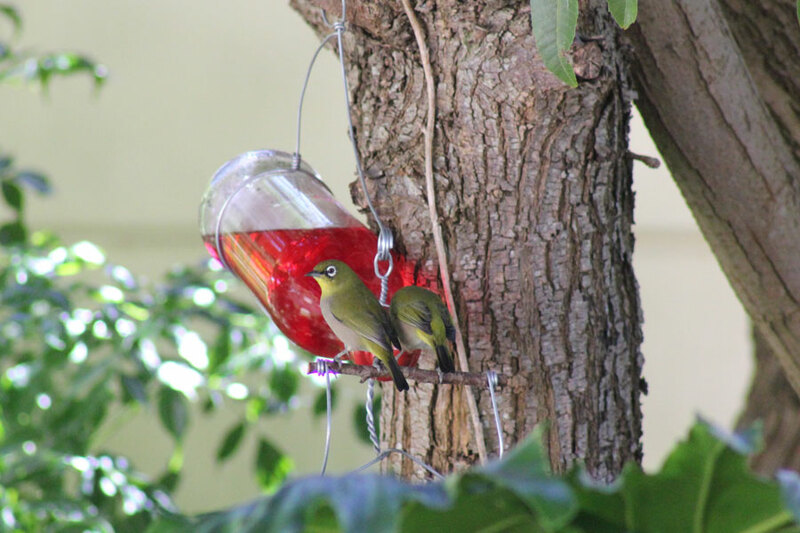 They chatter non-stop and we love hearing their continuous chirping as we work. (The Pepper and Pond are directly outside the office). But it can also be quite distracting. I’ve shown the location of the pond with the bird baths before in this post. If I turn my head 45 degrees to the left I see two of the three baths and the starlings have been taking turns playing and drinking here for the last few days. 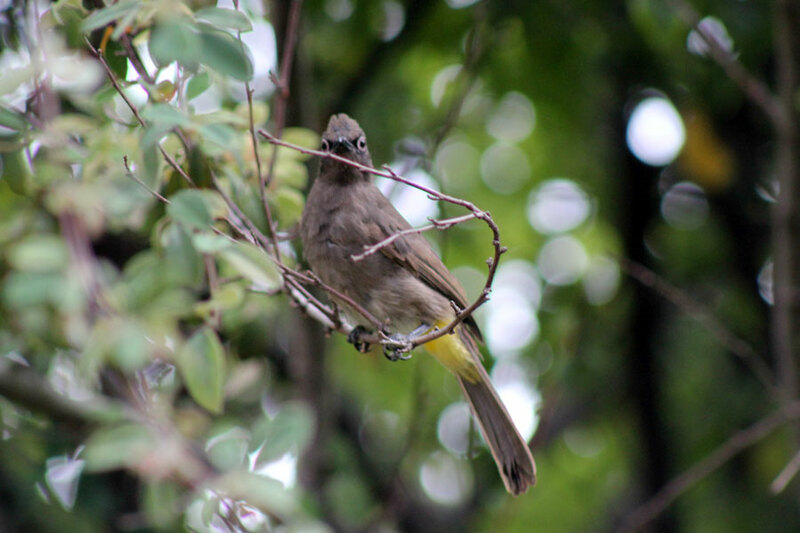 At any given time there are at least two birds on each bath with a few others on the ledges or darting back up into the tree to grab a few more of the red berries they seem to love. Those are my Autum Bird-capades! The Starlings have taken over the front garden and in exchange for their delightful company all day, they leave quite a mess behind! Bird Rescue Board from It’s Not Work, It’s Gardening; The Niagra Falls Garden Magazine from Garden Walk, Garden Talk; Brush Piles are for the Birds by The Sage Butterfly; The Malachite Sunbird Babies by Barbie of The Gardening Blog; BlogSpot for the Birds by Elephant’s Eye; Hawkweed for Weavers at Beautiful Wildlife Gardens; Sweet little birds, outside my window by This Grandmothers Garden; Bird Counting by Gardens Eye View; A Bit of Bird Watching by A Rose is A Rose; The Bluejays by Crafty Gardener; Time to count Birds by Pam’s English Cottage Garden; We Have Owls! by The Whimsical Gardener, What a Hoot! by Las Aventuras … and there really are at least a hundred more. 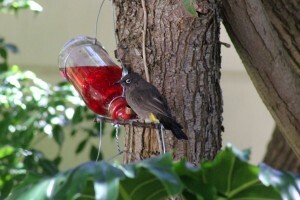 I love watching the birds around the yard and at my feeder and most recently, my new bird bath. So much fun! 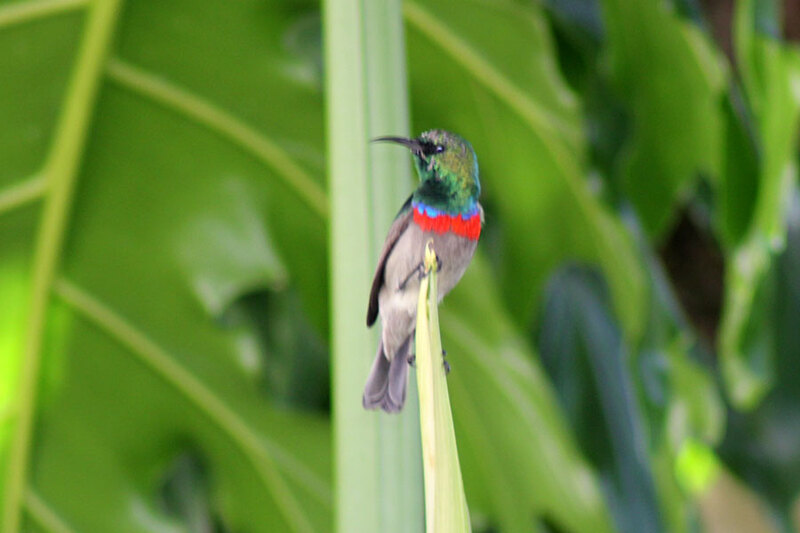 The Sunbird is gorgeous! 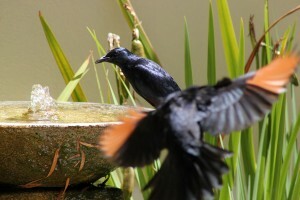 I remember the previous photos of your bird baths. 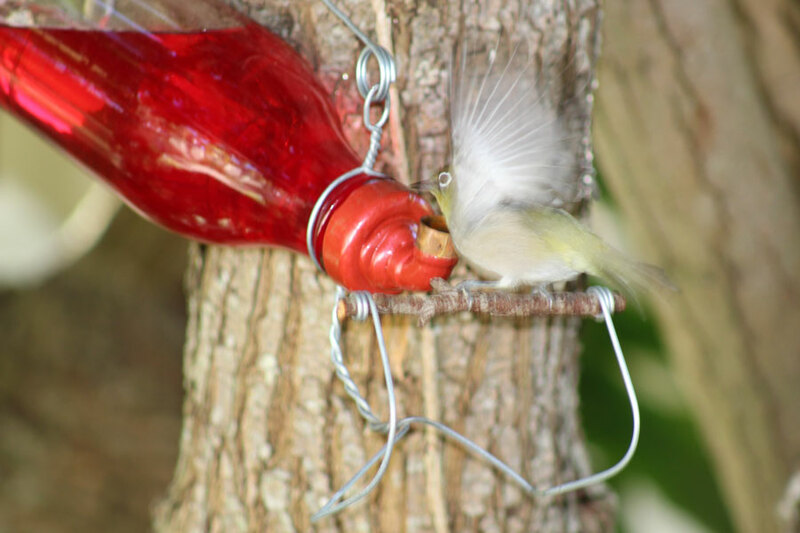 They are very beautiful (and fun for the birds). I need something like that. Yours are South African red wing starlings coming down from the mountain fynbos. Mine are the invasive European starlings. We used to have the red wings in Camps Bay. I love them … but they are quite messy. 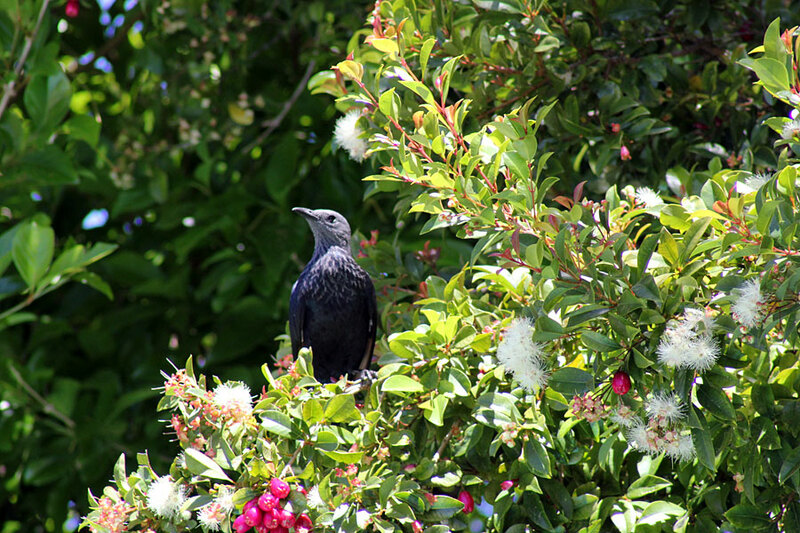 The chorus of bird song in your garden sounds wonderful in your video! 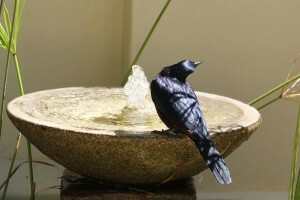 We’ve been looking at water feature/bird bath ideas recently. 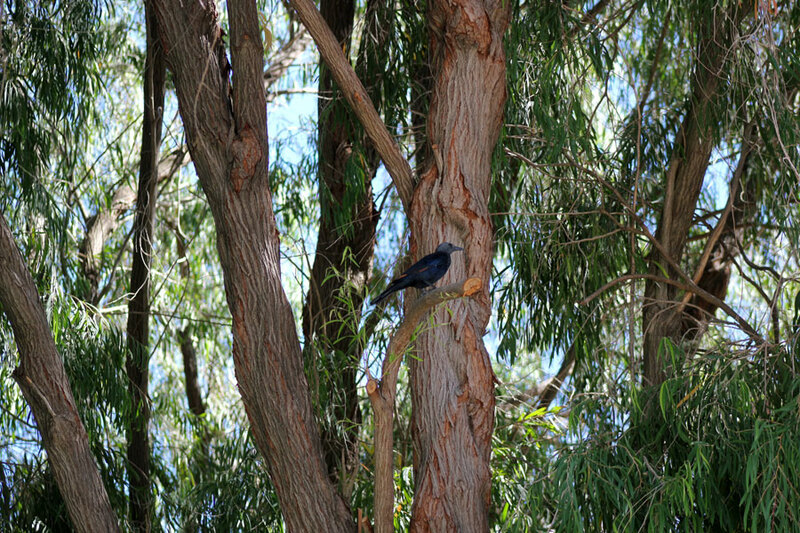 We have a lot of birds, but often only hear them, not see them, as they’re hiding in all the trees. My hopes are that some moving water in the garden will help to draw them out. Do these birds winter with you? Starlings are a summer bird in the northern U.S.
Mary, they were here last winter, they have been year all year since I’ve lived here. Them and the Hadedas … they don’t seem to leave. The bird video is such an AMAZING idea !!! I love this !! Will also give it a try!! WOW! You have amazing birds! The Witoogies are my favourite!! Great video and what fun the birds are having with you in the garden…love it.. 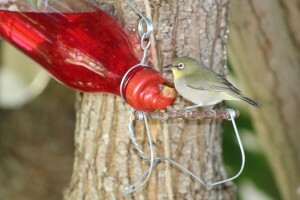 Thank you, Christine for mentioning one of my bird posts. I very much enjoyed your video. Birds are very popular on garden blogs as they really go hand in hand with gardens, and are so fun to watch. Looks like the birds really appreciate your garden! Doesn’t that give you such a sense of satisfaction? I love seeing and hearing the birds, but we don’t feed them – with cats around that would be a cruel trick! Loved seeing all the different birds in your garden, though! 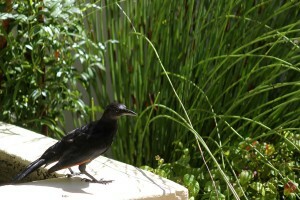 Hi Holley – I have a cat too but he is way too lazy now to chase the birds . 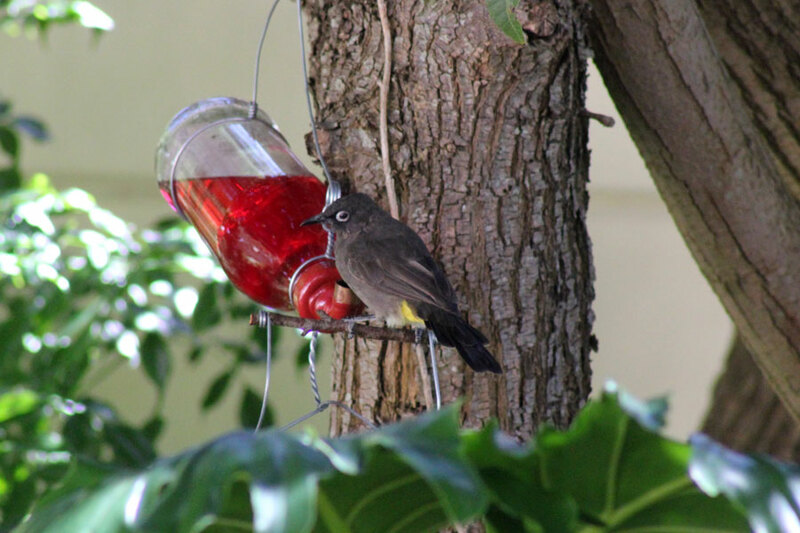 He couldn’t reach the bird baths and the bird feeders are all well out of his reach, just in case – and I’m actually more concerned that my dogs might think its fun to chase birds, so all the “birdy things’ are well out of feline and canine reach. 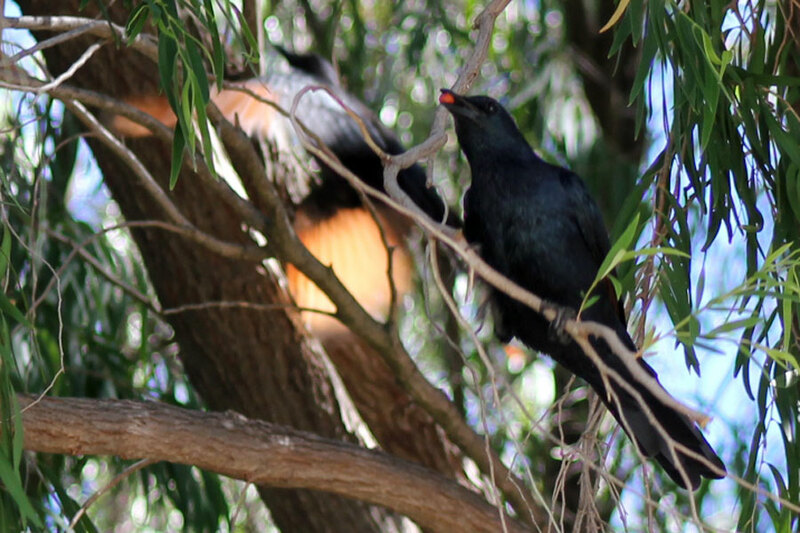 Those certainly arent’ the “Starlings” that we have! Everybody with a garden blog should post a video like this: just set up a camera, show a minute or two of “nothing special”, and let us feel like we’re sitting there with you. Hear the birds, the wind, the street traffic (if applicable) — just get a sense of what the space is like. I was thinking the same thing … was also thinking it might be fun if someone started a monthly or seasonal “wildlife” meme. Yes, it was taken through a window because the pond is too close to my desk – they don’t descend on the pond en mass when I have the door open and I wanted to take the little video for the blog.